It’s that time of year again: tax filing season. While gathering your receipts, W-2s, and 1099s, you may wonder what income and expenses you have to report, what you can deduct, and what may be different this year. You are not alone. The biggest tax reform legislation in more than 30 years became effective on January 1, 2018, making this the first filing season to incorporate the sweeping changes.1 As always, you should consult a tax professional about your specific situation. The deadline to file is Monday, April 15, 2019. If you gambled during 2018, you may be wondering if you can deduct your losses. Gambling losses can be deducted if you itemize, but are limited to the extent of your winnings, which you must report as taxable income.2 So if you report $100 in winnings but have $1,000 in losses, you can only deduct $100 in losses. And not only that, if you choose to deduct your losses, the Internal Revenue Service (IRS) requires a detailed diary of your winnings and losses. In addition to the amounts won and lost, you must include the dates and types of gambling, the names and addresses of the facilities where you gambled, and the names of the people who were with you.3 You must also keep related receipts, such as tickets and statements.2 Click here to visit the IRS website to learn more about how gambling winnings and losses can affect your tax filing. Already Have a Plan for Your Tax Return? Tax returns seem to have an interesting psychological effect. While the amount you receive from Uncle Sam may be perceived as an unexpected gain, keep in mind that it is not free money. The operative word is return – receiving a tax return means that you have overpaid your share of taxes throughout the year. Instead of going on a shopping spree, consider using your tax return to pay down debts from mortgages, car or student loans, or gambling. You could also save or invest the money for the future. What will you do with your tax return? Filing taxes may not be fun, but realistically the process puts your financial history in the spotlight. This yearly review can also help to determine how you are spending your money and the steps you might need to take to assure your financial health. 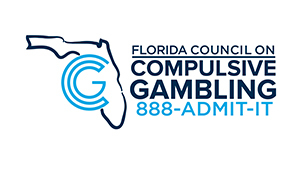 If you think that you or a loved one may have a gambling problem, call Florida’s Free, Confidential, and Multilingual Problem Gambling HelpLine at 888-ADMIT-IT (236-4848). 1 Williams, David. “2018 Tax Reform Impact: What You Should Know.” TurboTax Tax Tips & Videos, Intuit, Inc., 2017, turbotax.intuit.com/tax-tips/irs-tax-return/2017-tax-reform-legislation-what-you-should-know/L96aFuPhc. 2 “Topic No. 419 Gambling Income and Losses.” Internal Revenue Service, The Internal Revenue Service, 13 Mar. 2018, www.irs.gov/taxtopics/tc419. 3 “Diary or Similar Record.” Understanding Taxes – Theme 3: Fairness in Taxes – Lesson 3: Progressive Taxes, The Internal Revenue Service, 2017, apps.irs.gov/app/IPAR/resources/help/Records.html.